Cockroaches are one of the most common household pests, infesting food preparation areas, contaminating food and utensils posing both direct and indirect risks to humans. Being nocturnal creatures, Cockroaches usually become activity after dark. Arriving from grease traps, drainage or sewerage areas, they hide in cracks and crevices. They readily adapt to a variety of environments, preferring warm areas. If you need to get rid of Cockroaches, you need a Pest Controller and we are here to help you with Cockroach removal, give us a call now. It is considered that Cockroaches are responsible for much of the transmission of human diseases, in addition to causing allergic reactions and asthma in some people. It is reported that they are likely to be responsible for intestinal-type diseases including salmonella food poisoning hence, the necessity to control them in your home, commercial properties and food outlets. 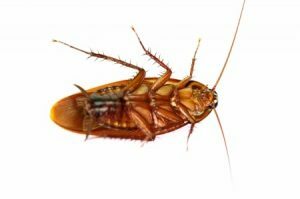 A professional Cockroach exterminator, Control-A-Pest Pty Ltd, can provide you with assistance, in Cockroach extermination. Cockroaches are among the hardiest insects in the world. Some species are capable of remaining active for a month without food and are able to survive on Limited Resources. 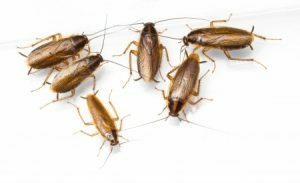 If you have a problem with Cockroaches, call a professional pest controller, call us here at Control-A-Pest Pty Ltd for advice and treatment, contact us now.